Nationals of countries which have diplomatic relations with the Philippines are generally allowed entry into the country without securing a temporary visitor’s visa from the Consulate if their stay does not exceed thirty (30) days. Visitors availing of this no-visa privilege must enter the Philippine for tourism purpose and must hold a round-trip or onward travel airline ticket, which must be presented before Philippine immigration authorities upon arrival at the port of entry in the Philippines. U.S. passport holders are covered under this rule. If the intended stay in the Philippines is beyond 30 days, an application for a temporary visa must be filed at the Consulate but a valid US Passport is required. A valid, signed US passport and Photocopy of the passport . The passport must have a validity that must extend at least six (6) months beyond the length of proposed stay in the Philippines. and contain at least one blank visa page. NOTE: The Visa officer can request additional Documents to determine whether or not the applicant can be issued a visa. Applications are usually process in 3 business days. Note: Children 15 years and under, if not accompanied by one parent, must obtain a visa regardless of the length of stay, plus a consent document issued by a Philippines Consulate. Unaccompanied minors age 16 or 17 years or minors under 18 accompanied by one parent must carry a notarized letter of consent to travel, signed by the absent parent. Non-US must have either a valid US visa stamped into their passports with the original I-94 card or a notarized copy of the front and back of the Green Card. 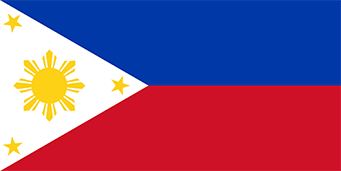 The Philippines visa is usually issued for a single entry within 90 days of issue date, for a period of stay up to 59 days. Applications for extension of stay may be filed with local authorities after arrival.